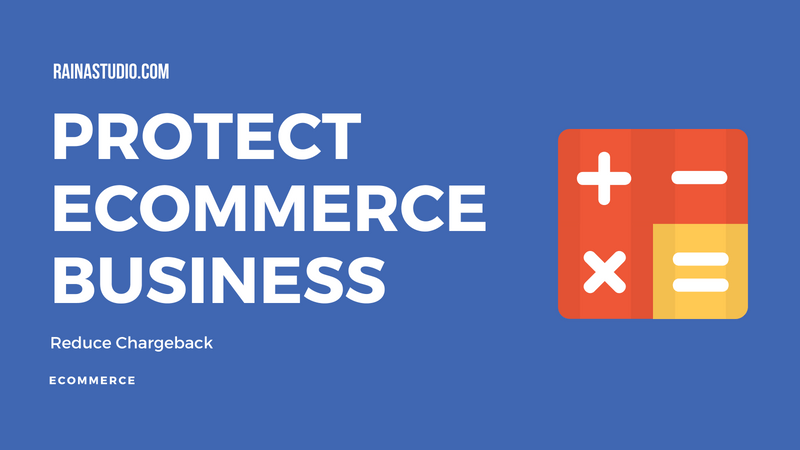 Implementing preventive measures to protect eCommerce business from chargeback and other fraudulent transactions is a key determinant of the survival of the business. The ultimate result of fraud in any online business is obviously a huge blow due to financial losses as well as losing sales revenue. A chargeback comes along with costs such as chargeback fee. It occurs when a product’s buyer disputes charges made to their account and reports to their bank or where their credit card was issued. The customer’s information regarding their credit card could have been stolen by fraudsters. When this information is used to purchase products definitely without the cardholder’s knowledge, the seller is at a great risk of a chargeback. At times, the buyer could be authorized by the actual cardholder to make the purchase but fails to share the information with the owner of the card. Therefore, it is imperative for any online business operator to understand how and when fraud occurs to reduce chargeback risks. This should actually come as the first measure to protect eCommerce business. As a responsible online business person, it is important to be at per with the standard requirements that have been set for seller protection. This way, your confidence as a seller is enhanced because the sales you make are protected and are therefore safe. Chargeback protection services protect your business by ensuring that claims for chargebacks and reversals are at their minimum levels and chances for fraud are also minimized. Some transactions such as investing in products that involve high technology pose a high risk to eCommerce business operators. This means that it is possible that some transactions regarding that particular product are not protected. As a result, fraudsters stand a big chance of making a purchase of that product and then file a dispute regarding the transaction. Since the transaction is not secured, the seller will definitely lose to a chargeback. It is very important to be in a position to provide clear documentation regarding the date of delivery, status whether delivered or not and a matching delivery address with that in the transaction details. This helps in preventing the possibility of a successful transaction of a fraudulent order. Online sellers should also see to it that they confirm all order information before the shipping is done. This is to make sure that there is no customer that disputes a transaction because they claim it was unauthorized. These measures include informing buyers on the actual delivery dates that they should be expecting a product and updating them when the delivery has been accomplished. It is also advisable not to use the shipping service of the buyer provided your shipping service gets the product to its destination. This is another way of blocking capable fraudsters who could claim that an order was not received and hence file a dispute on charges made by their bank or credit card issuer. This could subsequently lead to a chargeback. This includes all possible details to prevent claims of a product not being significant as described. Fraudsters have a great tendency of filing claims that the product received was not the product ordered. They can subsequently dispute charges from their account causing a chargeback on the seller’s account. This kind of fraud can be prevented by providing a vivid description of your products including the pros and cons. Pictures of the product from different angles and appropriate measurements should also be included in the description. You should also make sure that you answer customer’s questions and complains promptly and with all possible details to see to it that you leave no uncertainties. This ensures that expensive products are covered as they increase your business’ risk for chargebacks. Expensive goods such as luxury designer products attract fraudsters due to their big value. Such products can be purchased by fraudsters who have stolen credit cards then they can resell the goods immediately for cash. The actual credit card holders can then dispute the charges on their accounts which means the seller might get a chargeback. These products, therefore, require at least insurance due to the risk they pose to an e-commerce business. We can all see that we are in an evolving world. Fraudsters are also evolving with new and advanced tactics. This calls for up to date measures in protecting your e-business from fraud as well as reducing chances for chargebacks. Looking for a trusted program that deals with protection against fraud is one of the key measures in a comprehensive strategy for fraud prevention. These programs may require some payments but it is really worth it considering the effect of fraud and credit card chargebacks on your business. It is unfortunate that most credit card issuers have a likelihood of siding with the buyer even when the seller has proof to validate the purchase. For instance, a buyer can easily claim that they did not receive a certain product even if the seller has proof of delivery. This is why it is imperative for every eCommerce seller to have protective strategies as fraud and chargebacks is a menace they have to deal with in their business. With the above tips, you are well geared with what it takes to protect eCommerce business from fraud and subsequently reducing chargebacks. Feel free to subscribe to our newsletter and get FREEBIES, offers & business resources for starting your DREAM project. 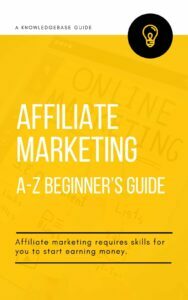 Affiliate marketing is the process of selling other people’s products through blogs and websites and you earn a commission. Download the eBook to learn the process! How to select or choose your niche?